Gerry Halpin spent the earlier part of his career as a teacher, becoming head of a large Art Department. He has been painting professionally since 1990. Gerry’s work has reflected a wide range of interests from landscape to abstraction. 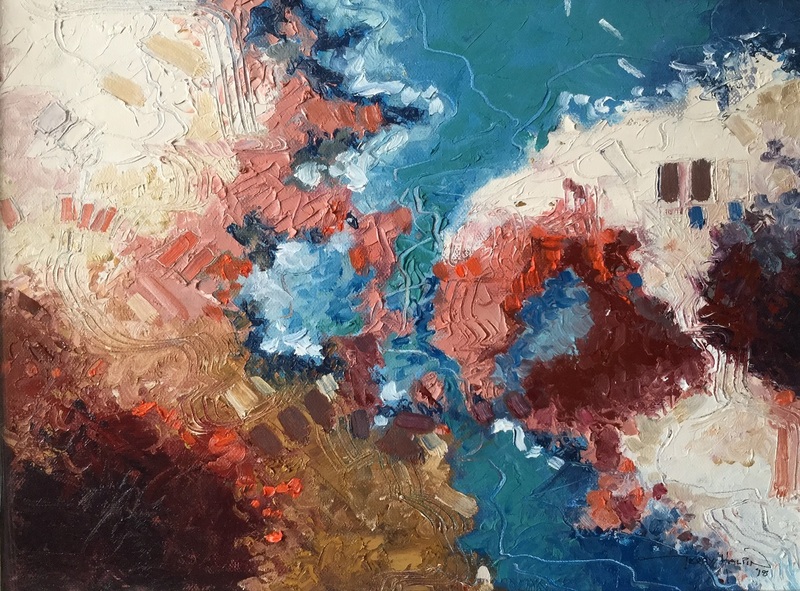 He also likes to work outdoors in the traditional way and he frequently allows elements of the landscape and ground textures to direct his work into finely produced abstract paintings. At times he has returned to realism but his choice of subjects and settings has often allowed him to indulge his fascination for the textures of old stone walls, ancient pathways and earth patterns that have for so long inspired him. In 2010 he was awarded an MBE for services to ‘charity and art’. He was awarded the Menena Joy Schwabe Memorial Award for Outstanding Painter at the R.O.I. 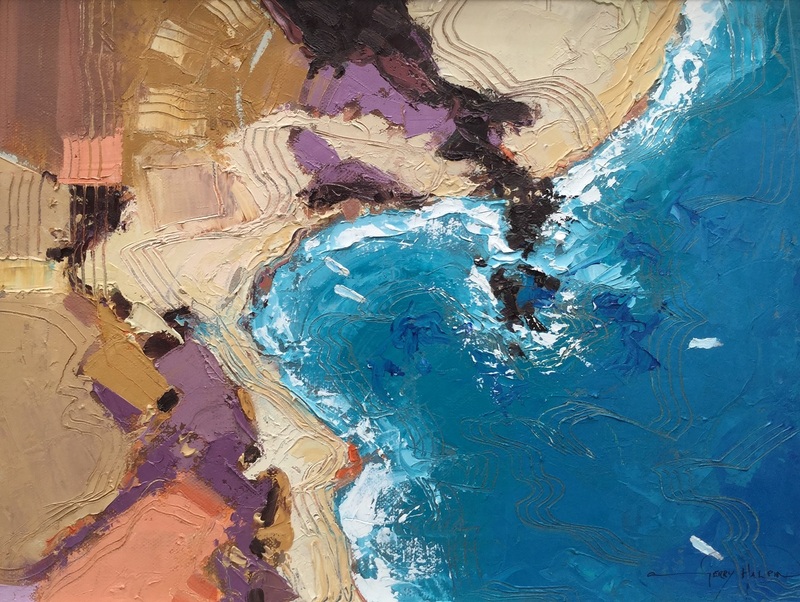 in 2015 and in the same year has been highly acclaimed by the Royal Society of Marine Artists, whose president felt that Gerry Halpin was bringing a fresh dimension to the art of marine painting. Gerry has had many solo exhibitions and was elected President of the Manchester Academy of Fine Arts in June 2015. He has exhibited at the R.O.I. ; R.S.M.A. 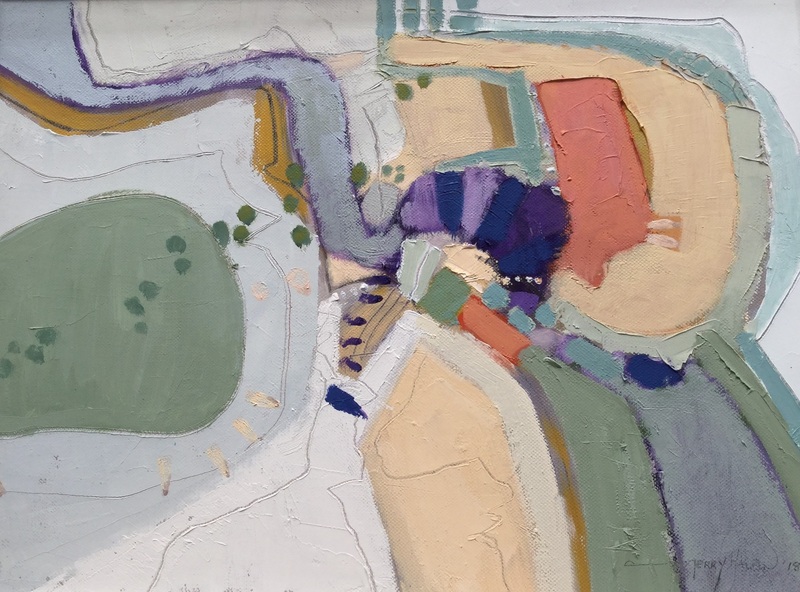 ; R.I., Laing Landscape Exhibition, Salford; Mall Galleries, London; Bolton Art Gallery; Tib Lane Gallery, Manchester; British Society of Painters, Ilkley; Barry Keene Gallery, Henley and the Warwick Gallery, Maidenhead.